Android 2.1 Update for Sprint's HTC Hero is Live!! Sprint Hero owners can head over to the Hero support page on Sprint.com for a full rundown of the software update, and also a very complete and detailed set of instructions for how to install the latest and greatest firmware available. As long as you follow the steps, Hero owners should have no problems with the upgrade. Also as predicted, the Eclair update will require a full wipe. Everything from emails to text messages and pictures and contacts, will all be automatically deleted during the update. So all my readers out there, make sure you have taken the appropriate steps to backup all essential data. Sprint gives a fairly complete list of what is erased during the update process, so make sure you read it all carefully. From what I can tell, it seems Sprint is requiring Hero owners in install the HTC Sync program to help with the update. Head over to HTC Sync page for instructions and a download link to the latest version of the program. One last important reminder, the update to Eclair can only be done on a Windows PC, yes I know it’s strange and annoying, but you need to have Windows XP or better to install the update. Finally the wait is over, Sprint finally made good on their promise all of Sprint’s first generation Android phones have gotten the push to Android 2.1, now it’s T-Mobile’s turn to step up to the plate. 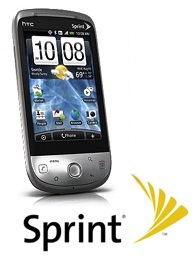 5 Responses to Android 2.1 Update for Sprint's HTC Hero is Live! The OFFICIAL UPDATE IS FOUND ON THE HTC SITE NOT ON THE SPRINT SITE. That being said, here is the link. Enjoy and remember to have your phone at least 50% charged. Their site is getting hammered!!! Good luck getting the 118MB file. Does anyone have plans to mirror it? i’ve been trying to download the install for the past hour and the download continues to die or go slower than 4kb/sec. no success in download so far. i’ll keep trying.